Joey Ramone was signature punk from top to bottom, starting from his shoulder-length mane of black hair and ubiquitous rose-colored shades, down a lithe frame outfitted in a motorcycle jacket and torn jeans. As the Ramones' frontman for nearly two decades, Joey chewed up and spit out lyrics to punk classics like "Sheena Is A Punk Rocker," "Blitzkrieg Bop" and "I Wanna Be Sedated." Before that, he was Jeffrey Hyman, a gangly Jewish kid born and bred in Queens, New York, where he escaped the cruelty of schoolyard bullies and the pain of his parents' divorce by diving headfirst into music. A steady diet of The Beatles, The Who, David Bowie, and Phil Spector-helmed girl groups left him craving more. Under the name Jeff Starship, he began performing with the glam rock band Sniper in 1974 before founding the Ramones with pals John Cummings (Johnny Ramone) and Douglas Colvin (Dee Dee Ramone) later that year. The Ramones disbandment in 1996 marks the beginning of the end for Joey, who is diagnosed with lymphoma. Five years later, he dies while listening to U2's "In A Little While," just one month before his 50th birthday. 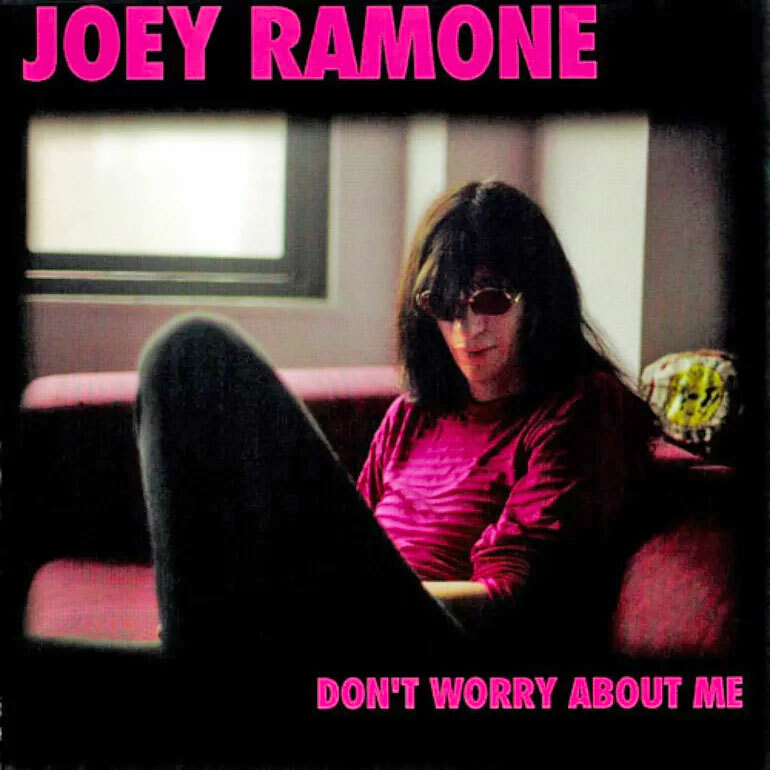 Twice engaged but never married, Joey leaves behind a legacy of music, including 14 Ramones albums and the critically acclaimed She Talks to Rainbows album he produced for Ronnie Spector. His solo LP Don't Worry About Me is posthumously released in 2002.